A guerrilla mobile testing rig. 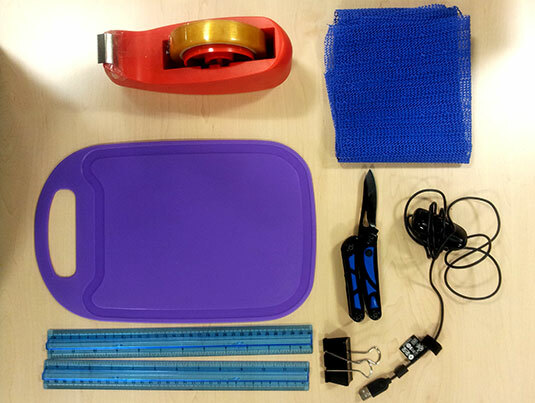 Build a mobile device testing sled using only materials readily available in a standard office stationary cupboard (and kitchen). I recently needed to test prototype responsive design for a site for new students. 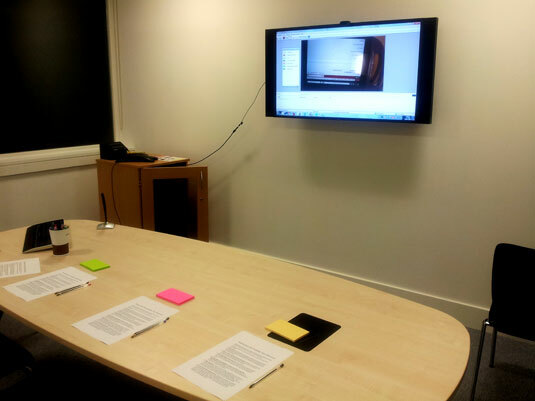 AUniversity Open day provided the perfect opportunity to easily recruit representative users but it came with a snag: I couldn’t get access to the facilities at our HCID Centre’s Interaction Lab. Instead I decided to build a mobile device testing sled using only materials readily available in a standard office stationary cupboard (and kitchen). This is a slightly different approach to others who have used Heat-treated Acrylic, Meccano and Aluminium — all of which require lead-time, access to specialist tools, materials or budgetary approval. The finished testing sled. This took about 15 minutes to assemble. The testing rig. 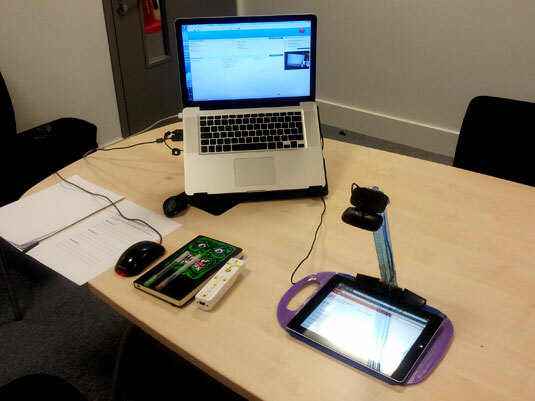 Including a laptop mount to position the PIP (iSight / laptop) camera, USB extension cable and a Wiimote for task and issue logging. An observation room with the output from the sled. Gesture Capture captures participant interaction with the device and interface. Device Agnostic: works across form factors allowing testing with a participants device. Device Protection: non-slip material prevents slips and drops. Stakeholder Engagement: helps facilitate participation in mobile projects and avoidance of testing for mobile. Ethnographic Studies: could work in the field, unlike a wholly desk based solution. Durability: care needed across many testing sessions. Vibration: flex from ruler and base hard to isolate. Size: less suited to smaller devices and participants with smaller hands. Weight: a dedicated sled would be lighter and cause less user fatigue. Aesthetics: looks like an amateurish testing solution. Portability: sled could need rebuilding at the testing location. The materials were very easy to acquire and the sled itself only took about 15 minutes to construct (30 from inception). The results it enabled were serviceable; certainly better than an audio only recording. However the quality of the video was marred slightly by vibration between the sled base and the camera mount. Some participants also had some difficulty holding the sled and using their device. 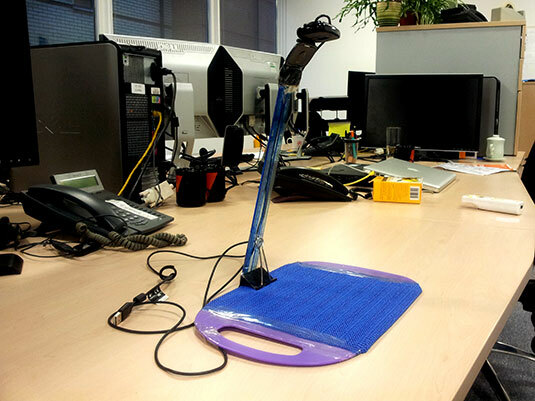 A DIY / guerrilla testing sled can help user experience practitioners with limited funds or lead times but they will get better results with professional solutions (like Mr Tappy from New Zealand) or sleds designed specifically for certain devices. From the ACM Digital Library. Requires account. Thanks for adding us to your links, and I like your sled. How did it work? We’re updating with new talks. I’m applying for budget to order a Mr Tappy sled. Pingback: Usability Testing Of Mobile Applications: A Step-By-Step Guide - GeekCast en Español..